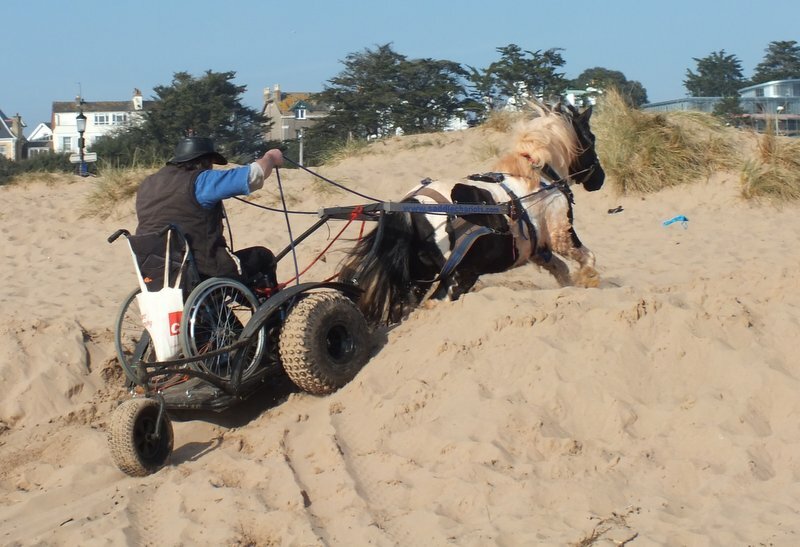 Pony Access provides pony powered access, for anyone, anywhere. If you use a wheelchair, you know how limited wheelchair mobility can be off tarmac. Pony Access goes anywhere. Beaches are easy, fields are easy, anywhere is easy. Everyone knows there are some brilliant all terrain mobility scooters, but to use them, you have to be able to get out of your wheelchair. Not everybody can. The iBex can take anyone, anywhere, in their own wheelchair, manual or electric. Pony Access is inclusive. We take anyone anywhere. Pony Access is safe. Pony Access uses the unique Saddlechariot/iBex Instant Pony Release system. See here for details. Pony Access isn’t a pony based activity. 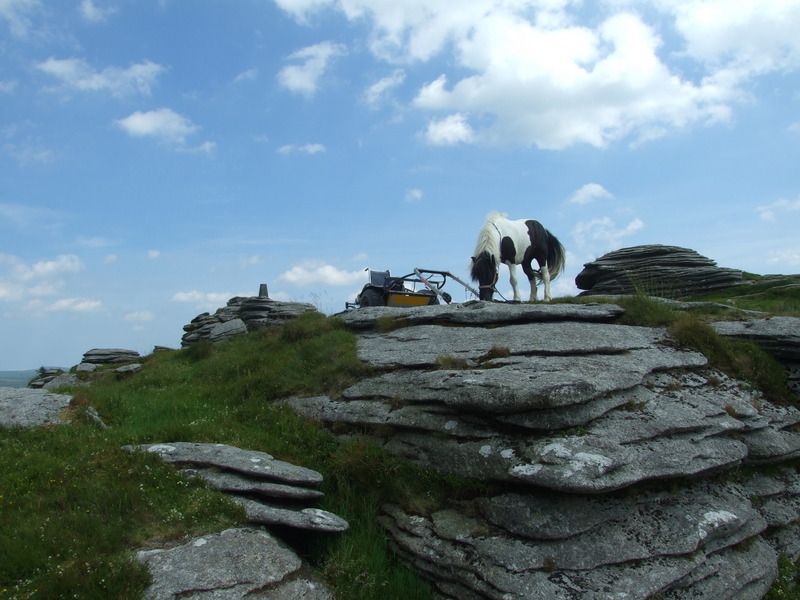 We provide access for people, using pony power. If you like ponies, that’s a bonus. If we used petrol ATVs, we wouldn’t expect you to be interested in the fuel injection, or valve timing. If you want to watch birds, or bikes we will take you. If you want to walk the dog, go fishing or just go for a picnic we will take you. These DayOut videos show twelve people in different wheelchairs. Day 1, we went to the woods because thunderstorms were forecast. Day 2 ,Day3 and Day4 we went from Seaford head to the mouth of the Cuckmere, looking along the Seven Sisters in Sussex. Just a picnic on the beach. There are some awesome electric and petrol tracked wheelchairs. But you need to get out of your own wheelchair. If you can, or if you can afford to have a vehicle modified for you, they are awesome. 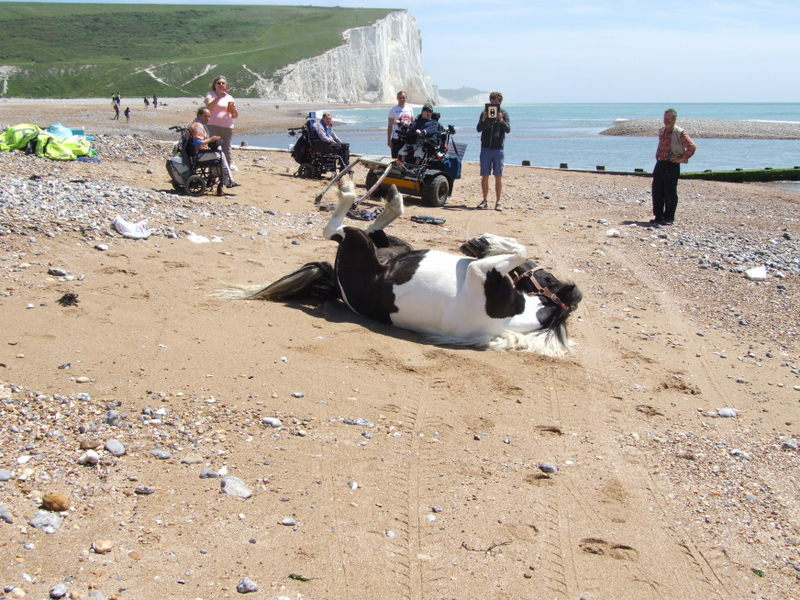 But Pony Access can take you, in any wheelchair, to places the toughest, and most expensive, tracked vehicles only dream about. 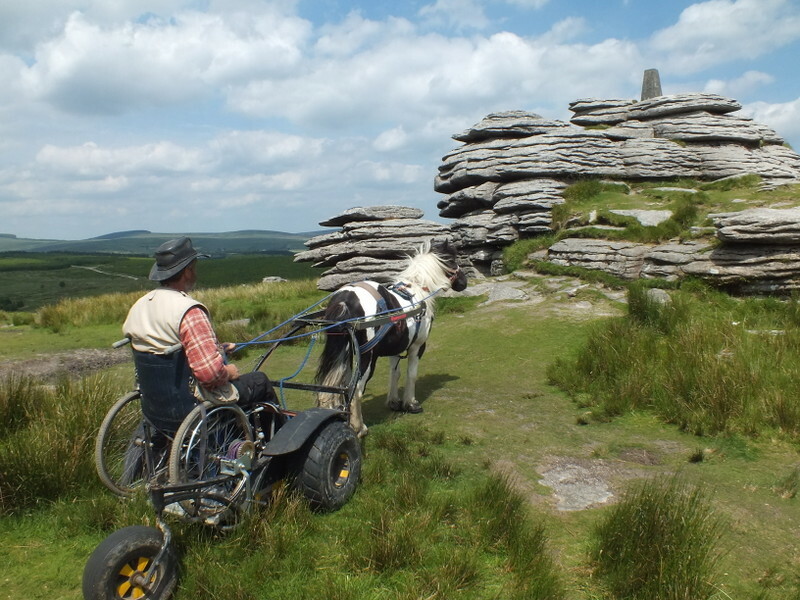 This video shows me driving a wheelchair up Bellever Tor on Dartmoor. I hadn’t checked the route beforehand, this was just me exploring.